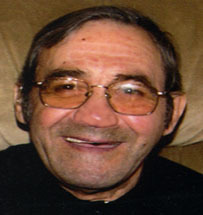 Papaliosas, John D., 77, of Cranston passed peacefully Tuesday May 19, 2015 at the Golden Crest Nursing Home. He was born in Athens, Greece, and came to America in 1970 with his late wife Vasiliki "Bessie" (Theodosiou) Papaliosas. They became US Citizens in 1999. John was the manager of the Speedway Car Wash in Cranston before retiring in 1997. He leaves three sons; James D. Papaliosas of Albany, NY, Fotis I. Papaliosas of Coventry and Nicholas I. Papaliosas of Cranston, a brother George D. Papaliosas of Athens, a sister Mary D. Lioubas of Las Vegas and a grandson James T. Papaliosas. His life will be celebrated with calling hours Friday from 5-8pm in the Stapleton Family Funeral Home, 684 Park Avenue, Cranston. Funeral Service Saturday at 10:00am in the Church of the Annunciation, 175 Oaklawn Avenue, Cranston 02920. Burial will be in St Ann Cemetery, Cranston. Visit cranstonfuneral.com for directions.